:: FREE domestic shipping on all of our rugs + International shipping options available for most items, just inquire for a shipping quote. Great shopping experience, kind & thoughtful shop owners. Highly recommend! IndiWHAT IndiWHO IndiGO!! So many new old African indigo throws with perfect amount of fade coming to the shop soon!!! 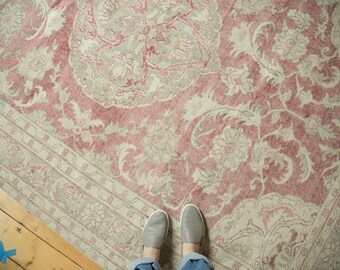 Vintage rugs and antique carpets for the inspired home! Hand woven kilim + rug pillows made from exceptional carpet fragments sewn in-house made and filled w/organic materials. 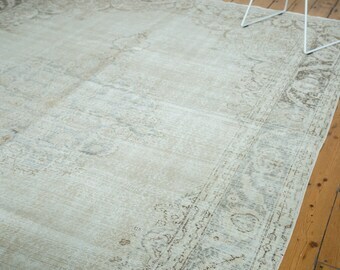 Tribal shabby boho chic worn and distressed rugs, find 3x5 to room size and larger area rugs. Hand made ONH originals including baby sleepers, furniture and more! Thank you for being interested in the story of Old New House! We are Melissa & Dave - the curators and creators behind ONH and what began as a hobby in 2010 has turned into a life passion that we pour ourselves into every day. Our story is ultimately about telling and connecting to the stories of others through items of the past and through the items we dream up. We view our items as a unique collection of functional, well crafted and special olds + news for the house that you will have a tough time finding anywhere else in the world. Together, as a two-person team (with our little son in tow), we have blended our specialties and interests to follow a specific criteria of what we are looking for. We hope that you will enjoy looking through our collections and that you will enjoy owning your own ONH piece! With great care and attention to the finest of details, we hand select every single antique and vintage piece that you see in our shop. 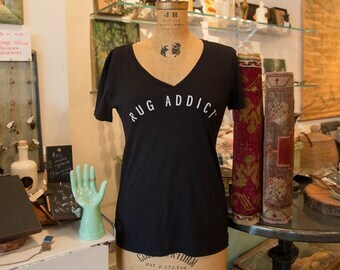 We also design and craft every new original piece completely in house, and truly with our own hands, in New York. Farm Fresh Clothing Co helped us fine tune the design and make it into shirts. Freckles and Fabric works with us to help make some of our pillows. Luxury handbag UK brand Swag & Tassel takes our antique and vintage rug fragments and uses them to make one of a kind accessories. We are a happy New York couple who sell antique and semi-antique rugs as well as vintage furniture + household items, sometimes upcycling / updating or refurbishing items or creating new items out of old things along the way. We know just as much as the next person that investing in something like an authentic handmade rug or a piece of furniture or an original work of art is a big decision to make due to the prices and to how it is going to match everything else that you have in your home. We try to make the decision a bit easier by offering a 3 day return policy on all of our items. Refunds are gladly given if the item does not wind up being a good fit for your home or purpose, but we do require that the buyer pays for original and return shipping and the item must be returned in its original condition before refund can be given. You have 3 days from the day you receive the item to return it for a full refund (minus original and return shipping) or a trade-in. **Returns are accepted as stated as above except for in the instance when a negotiation on price is made between buyer and seller or a "best offer" is accepted by the seller -- in this instance it is assumed as it is stated in our policy that all sales are final unless otherwise discussed. & Returns are not accepted if shipped out of the US. We will look at every instance of damaged mail on a case-by-case basis, so no matter what, always contact us if the shipment arrives in a less than satisfactory way! **If you receive your item, and the exterior of the package looks damaged, we do ask that you take photographs of the damage and contact us before opening. This is the best way to prove damage through an insurance claim. We accept PayPal + direct check-out through Etsy. Just let us know if you need us to place an item on hold. A piece can be placed on hold for up to 3 days. We have a dedication to shipping all purchased items out within 1-2 business days after payment is received unless the item notes otherwise. Our standard shipping prices attached to each item (as well as free shipping for rugs) include: economy shipping via USPS + delivery confirmation so that we can provide you with a tracking number + insurance for items valued over $50. For big size boxes, we ship out via UPS Ground with tracking + insurance for items valued over $50. **If you need next-day or expedited service or would like to have insurance on your item that costs less than $50, then please send us a note and we would be happy to add one of those options on for you prior to your check-out. Yes, we offer international shipping on all of our items! If you send us a message about an item that you would like internationally shipped, and provide your postal code, we will find out the rates and charge accordingly. Just inquire! **No returns on international purchases. We hate sales tax just as much as the next person, but it is just the nature of shopping. For New York residents, we have to collect sales tax and it will simply be added to your order when you check out. 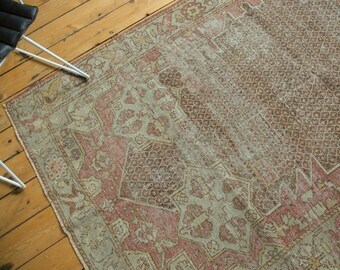 Many of the items we have for sale are vintage and therefore in used, imperfect condition. We try our very best to take very accurate photographs and to mention in the listings any and all areas of concern on an item. However, we are not perfect and it is certainly possible that we might miss something. If you ever have any questions or concerns about one of our items, please ask before purchasing and we will be happy to go the extra mile with more photographs and/or details. In all circumstances, please feel free to contact us! You, the customer, our are number one priority. We want you happy! ****Returns are not accepted when a negotiation on price is made between buyer and seller or a "best offer" is accepted by the seller -- in this instance it is assumed as it is stated in our policy that all sales are final unless otherwise discussed.